For the many Montgomery County residents in the Jones Hall audience the excellent sounds of the Houston Symphony Orchestra were no surprise. Many area residents become familiar with the symphony’s delights each summer when HSO takes up residence at its summer home, the Cynthia Woods Mitchell Pavilion. Many local concertgoers take that summer opportunity to purchase regular subscriptions for the downtown season. 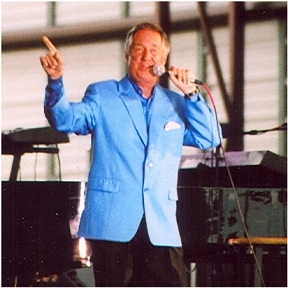 But the recent “pops” concert featuring multi-talented singer/composer, Neil Sedaka, offered the audience much more than just a selection of the artist’s many hit recordings dating back as far as the 1950’s. This would be a night of sheer musical joy. Conductor Mariusz Smolij led the orchestra in the first part of the program. It featured a musical feast that opened with the sumptuous Overture to “South Pacific.” I felt magically transported back to the hometown Paramount Theater of my youth as the mystery of “Bali Hai” swept over the audience. Under the maestro’s baton, “Nothing Like a Dame” was never merrier, and “Some Enchanted Evening” was never more romantic. Further delicacies included an exquisite performance of a suite from the Delibes ballet, “Sylvia,” a jazzy Tyzik arrangement of “Symphonic Swing: Big Band Classics,” and a tender “Irish Tune from County Derry” (a.k.a. ‘Danny Boy’). The latter was blissfully performed by the strings and provided the kind of quiet, calm moment many Americans have longed for since the tragedy of September 11th. Following the Beatles arrival in America, Sedaka “retired” to writing songs for others, but after about ten years he re-emerged with more mature songs like the richly poetic “The Hungry Years,” beautifully performed in this concert. He introduced the audience to songs he called his “forgotten children” like “One More Ride on the Merry-go-Round.” This was Sedaka at his brilliant story-telling best. The song should be the center of a Broadway show. In my opinion, Sedaka is ready for a one-man show on Broadway right now. He takes a wrenching look at human loneliness in “Solitaire.” He fills the room with good vibrations singing “Love Will Keep Us Together.” His “Hot and Sultry Nights” offers a feast of Latin rhythms. He brings warmth and reverence to one of the best songs I have ever heard: “You’re a Miracle to Me.” He sets hands clapping with the joyous “Good Time, Good Music, Good Friends,” and continues the joy with a “Laughter in the Rain” that exhibits an amazingly strong voice that seems undimmed by age. From his album, “Classically Sedaka” the Julliard graduate performed his brilliant and almost operatic “The Hands of Time.” It is a touching review of the memories of a lifetime and a miraculous look at lost love that endures in memory. With shouts of “Bravo!” the opening night audience rose to its feet in a thunderous ovation. It could not have been more deserved.